Alan Craig is a Christian, campaigner, grassroots activist, social conservative and advocate of justice and fairness for the vulnerable and marginalised. He is pro-family and pro-life. He has for many years enjoyed serving his deprived and diverse local community in Newham in London’s East End, where the ‘White British’ population is now just 17% of the total and where he and his wife Sally live and are bringing up their young family. He was a borough councillor from 2002 to 2010, since when he has been involved in political activity across a wider arena outside Newham. He joined UKIP in 2014 and in the May 2015 general election was parliamentary candidate for the party in the Brent North constituency. He was UKIP candidate for the London SW constituency in the May 2016 GLA elections. He is a fervent Brexit supporter. Alan was educated at Newcastle University and Manchester Business School. In his 20s he rose to become the chief executive of an international group of manufacturing companies employing 2,500 people. Aged 30, he converted to Christianity. A few years later he left business management, moved to the East End of London and for some years was live-in warden of an after-care home for young offenders on their release from prison. Subsequently between 1995 and 2004 he was director of the Mayflower Family Centre in Canning Town, then the country’s most deprived neighbourhood according to the London Research Centre. He was elected Christian Peoples Alliance councillor for the Canning Town area of Newham in May 2002, becoming the sole opposition member on the Council and facing 59 Labour councillors and a Labour executive Mayor. He was re-elected in 2006 together with two other CPA councillors and became Leader of the Opposition. He was also Leader of the Christian Peoples Alliance nationally and in May 2008 he stood for Mayor of London and for the London Assembly on the Christian Choice ticket. His campaigning over Newham issues such as the brutal Canning Town housing regeneration scheme, the Council’s unsuccessful attempt to wreck the local community’s Queens Market, the unnecessary huge Stratford casino, the controversial Excel Arms Fair in Docklands and the socially divisive ‘Olympic mega-mosque’ at West Ham, drew the attention of the London, national and occasionally international media. Since losing his council seat in May 2010, Alan has been free to pursue his interests outside Newham. 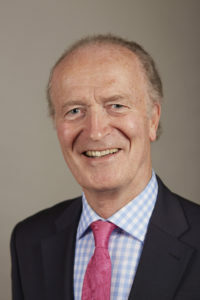 He now works part-time in the parliamentary office of a cross-bench Peer in the House of Lords; has pursued his eight-year campaign against the mega-mosque and in favour of a wider community use for the site (the latest plans for the mega-mosque were finally and unanimously rejected by the local planning authority and the Mayor of London in December 2012, and by the Secretary of State for the Department for Communities and Local Government, Greg Clark, in October 2015); is actively involved in a campaign against BPAS’s latest abortion centre in east London; and has engaged in exposing the intolerant illiberal nature of much gay politics and the socially destructive consequences of the gay political agenda. He respects Muslims, abortionists and gays, but reckons that in our liberal democracy we must be allowed the freedom to scrutinise their (and other) public agendas and activities without let, hindrance or politically-correct silencing. He is also concerned about the intensifying persecution of Christian believers around the world, and in this context has visited Nigeria and Pakistan. In 2011 he co-founded LoveJos (now LoveJustice) to help draw attention to the suffering of Christians and other minorities in northern Nigeria. During 2014 he worked part-time for a humanitarian aid and advocacy charity with local partners in Africa and Asia. In September 2014 Alan joined the United Kingdom Independence Party (UKIP) and was parliamentary candidate for the party in Brent North constituency in the May 2015 general election. He is Secretary of the Barking and Havering branch of the party. He was selected as UKIP candidate for the London South West constituency in the Greater London Authority elections in May 2016. He campaigned hard for a Leave vote in the EU referendum on 23rd June, 2016. Alan is a family man who swims regularly for exercise and sings in a choir.